Across the Northeast many youth hunters and their mentors took to the field this past weekend. As an avid turkey hunter, I jump at the chase to mentor a youth hunter and to ease my spring fever! Although it is exciting to get into the spring woods, weather and birds can be unpredictable at this stage in the spring. That was the case this year in the Northeast. For New York, Connecticut, Rhode Island, and Pennsylvania, the weekend of April 20th marked the start of the 2013 youth season. For the past few weeks weather has been warming but that trend has been offset by random snow and ice storms and cold fronts that weren’t the norm compared to previous years. A majority of birds still seemed to be in their large flocks comprised of many hens, with multiple long beards and gangs of jakes. For hunters such as myself this isn’t too terrible of a problem because most youth hunters aren’t picky and the chances of bringing male birds into range are increased when they are grouped up. As typically is the case in the Northeast weather can be very unpredictable at this time of year. Friday night brought in high winds and rain which created poor gobbling and hunting conditions for Saturday’s hunters in the Northern part of New York. Hunters across the state encountered high winds, snow, rain, and even hail. Saturday night gave way to calmer winds but lower temperatures. Sunday was very cold and clear in the Northern part of the state but still not much gobbling activity. Reports from around New York varied from day to day, but a commonality was, weather was unpredictable. Some hunters were able to find success in the Southwest part of New York. Clede Spooner of Crossroads TV (The Crossroads TV - airing on Pursuit January - June 2014) and his film crew were out in full force for New York’s youth weekend. Saturday found them with three youth hunters. They participated in a NWTF Jakes Youth Hunt at Letchworth State Park in New York. Due to high winds hunters were forced to seek out low lying areas where they did find some action. Birds were vocal but intent on feeding only. Two of their hunters and film crews had some close calls but no harvests. According to Clede, Sunday brought better conditions for their youth and crew. Conditions were cold and clear, birds were vocal and responsive. Their youth hunter was able to successfully harvest a gobbler and the crew was able to capture it all on film! There seem to have been more success stories coming out of Pennsylvania than New York. One Pennsylvania hunter I spoke to was able to mentor a young hunter to a great tom on opening morning of their youth season. 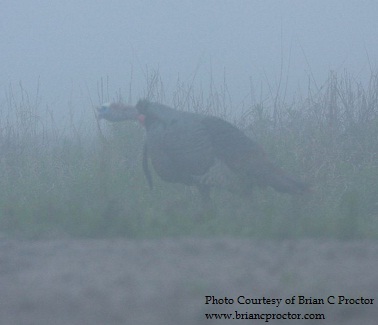 Pennsylvania hunters reported many of the some conditions as New York hunters reported, but birds were more willing to dance there! Weather conditions have improved since youth weekend and are forecasted to be getting more “spring-like”. This should provide for more success this coming weekend for the other Northeast states with youth weekends taking place in a few days. The large flocks are starting to break up with new “breeding” groups relocating almost daily. Good luck to all the hunters venturing out!